No charges brought by Wayne Co. Prosecutor Kym Worthy in Matthews’ case, or that of Janet Wilson, to date. 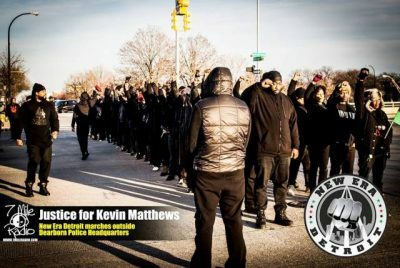 DETROIT — Despite the unspeakable brutality a white Dearborn cop used to execute Kevin Matthews with nine gunshots in a Detroit backyard Dec. 23, 2015, described in an autopsy report and lawsuit released Oct. 23, Wayne County Prosecutor Kym Worthy has yet to act on a warrant request from the Detroit Police Department issued in May. 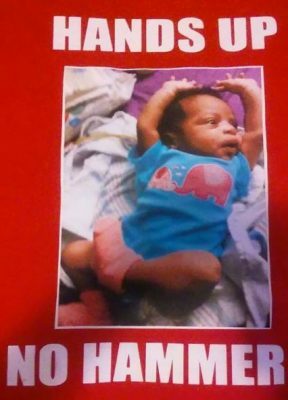 Terrance Kellom’s daughter, born after father’s death. 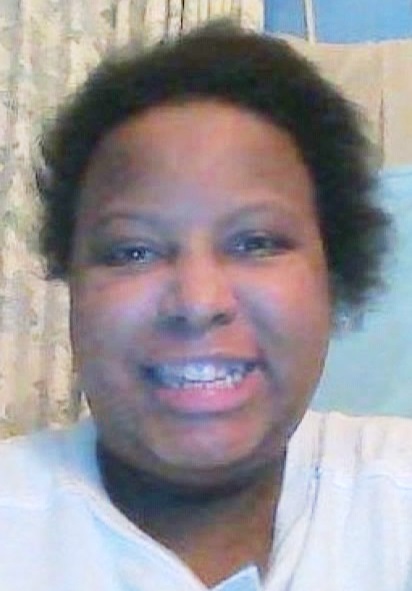 Janet Wilson, another unarmed Black Detroiter like Matthews, was shot to death at least four times by Dearborn Corporal James Wade III outside the Fairlane Town Center on Jan. 27, 2016, as she sat in her car after leaving the Center. Police claimed she tried to run them down, but photos show they boxed her in. Her family filed a $10 million lawsuit against the Dearborn police in August. Worthy earlier refused to charge a federal I.C.E. 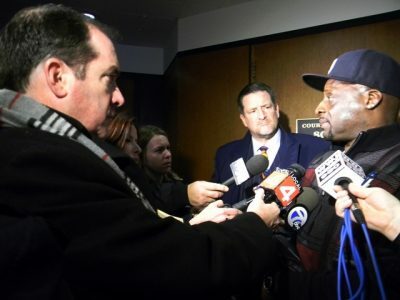 agent and Detroit police who invaded the home of Kevin Kellom and shot his 19-year-old son Terrance Kellom to death eight times, after a similarly long wait. The cops claimed Kellom advanced on them with a hammer, but Worthy admitted at a press conference that the teen’s fingerprints were not on the hammer. His stepmother Yvette Johnson was later stopped without legal cause by Dearborn police officer Cpl. Daniel J. Goebel, as she traveled in a jitney Jan. 21, 2016 from 19401 Hubbard, the address for Henry Ford Medical Center in Fairlane. 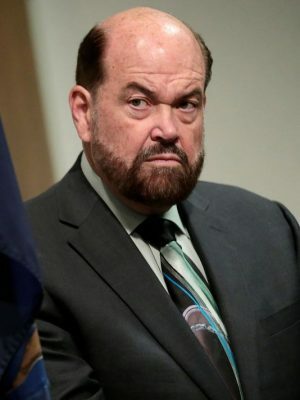 Neither Worthy, the Dearborn police, nor the Matthews family attorney have yet released the name of the cop who gunned down Matthews, although attorney Milton Greenman said the cop’s name and history is known to him. 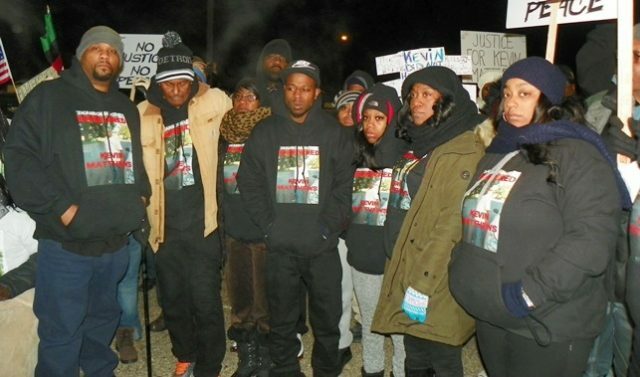 Family members were part of a large march for justice in Dearborn Jan. 4, 2016. At center is Kevin Matthews’ brother Lavell Matthews; to his right is mother Valerie Johnson; Kimberly Matthews is 2nd from right. Matthews was trying to get back to his mother’s house on Sussex, where he lived, three blocks from where he was killed, when he was gunned down. The cop who killed him claimed he was wanted to arrest him on a misdemeanor warrant. Neighbors in the area have said that the cop knew Matthews, knew that he suffered from mental illness, and had a history of stopping and harassing him. Members of the New Era Detroit organization attended the press conference in force. They marched outside the Dearborn Police Department on Christmas Day last year, as part of a series of angry protests in December and January including mass marches down Michigan Avenue and a call for Detroiters to boycott Dearborn. On Oct. 23, NED members called on Detroiters “to get up off their couches and rise up” against the ongoing wave of racist police killings here and across the U.S. 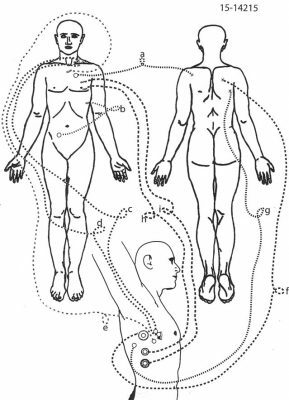 Diagram from Matthews’ autopsy report. The gunshot wounds shown in bottom sketch underneath arm, with rings around them, are the ones referred to as close range in lawsuit. It also says that Dearborn and its police department have a history of discriminatory treatment of Blacks. 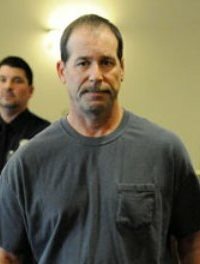 In a series of probing articles on MLive.com, reporter Gus Burns traced the background of Wilson’s killer. 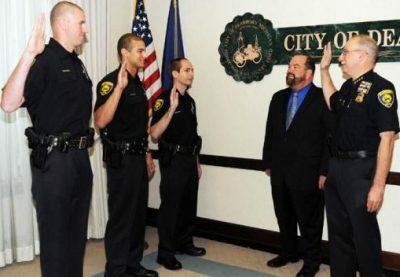 “Dearborn Police Cpl. James Wade III was warned or disciplined for unnecessarily endangering himself or others at least three times leading up to the fatal shooting of a Janet Wilson in January,” Burns wrote Oct. 23. He said the City of Dearborn has refused most of MLive’s requests for copies of the videos. Protests across the U.S. have forced the release of such dashcam videos since the killing of Michael Brown in Ferguson, Mo. 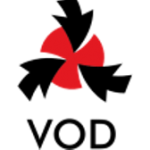 in August, 2014. Dearborn did release a dashcam video of the Fairlane Town Center mall incident showing the brutal means Wade and other cops used to arrest four Blacks on April 9, 2015, which MLive published. 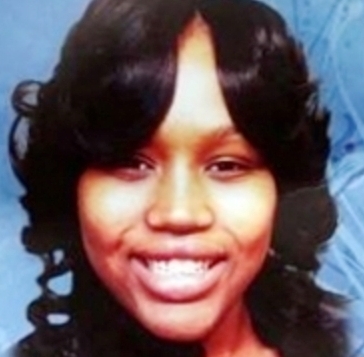 Next door to Dearborn, Dearborn Heights cops covered up at first for Theodore Wafer after he shot unarmed Black Detroiter Renisha McBride, 19, to death on his porch in November, 2013 although she presented no threat to him as he viewed her through a heavy locked front door. But he opened the door and shot her to death through the screen. Wafer was convicted of second-degree murder in front of Wayne County Circuit Court Judge Dana Hathaway, and received a sentence of up to 17 years. An appeals court recently upheld his conviction, but ruled that he has the right to be re-sentenced below state sentencing guidelines. The City of Inkster, adjacent to Dearborn Heights, finally released videos showing cop William Melendez nearly beating Detroit autoworker Floyd Dent to death on Jan. 28, 2015, after Attorney Gregory Rohl undertook Dent’s defense on false charges of cocaine possession. Channel Four’s Kevin Dietz kept the investigation alive, finally forcing the city to release more videos of Dent’s humiliating treatment, including withholding medical care, inside the Inkster police department headquarters. Floyd Dent (r) and atty. Gregory Rohl speak to media including Kevin Dietz of Channel 4 (l) after Melendez’ sentencing. 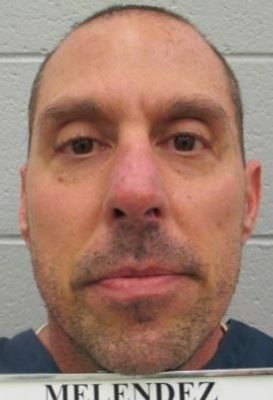 Melendez was eventually charged with assault with intent to do great bodily harm, and sentenced to 13 months to 10 years by Wayne County Circuit Court Judge Vonda Evans. The Michigan Department of Corrections, however, independently transferred Melendez to a boot camp. He is likely to be paroled shortly before even his minimum sentence expires. Such lenient treatment by the courts is not available for Michigan’s 363 juvenile lifers, some of whom have spent decades behind bars for crimes committed as children. Most of them are Black or Latin. But Michigan lawmakers sabotaged the USSC’s rulings by instituting state sentencing statutes that allow judges to re-sentence juvenile lifers to up to 40-60 years, meaning that some will wait 20 to 30 years before seeing the parole board. This entry was posted in Uncategorized and tagged JailKillerCops, Justice4Janet, JUSTICE4KEVINMATTHEWS, Justice4TerranceKellom, PoliceState. Bookmark the permalink. Commend you Dianne on excellent research and journalism, exposing the facts and the truth. Thank you.